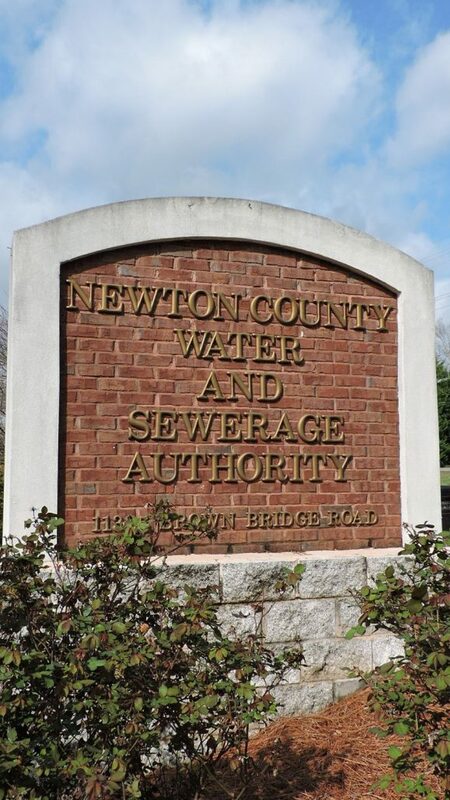 The Newton County Water & Sewerage Authority was created by the State of Georgia Legislature in 1970. The Authority began with one full-time employee and 52 customers. Today the Authority is made up of more than 50 dedicated professionals and serves over 23,000 water customers and more than 6,000 sewer customers. A small leak, about the size of a pin head, dripping at one drop per second can add up to 7 gallons of water a day. A large leak, the kind most often found in toilets, can waste 200 gallons of water or more per day! CLICK TO LEARN MORE ABOUT LEAKS. A connection between your drinking water and another source of water that combines the two when a backflow condition occurs. When this occurs, your drinking water can become contaminated. CLICK TO LEARN MORE ABOUT BACKFLOW. The Newton County Water and Sewerage Authority has designated Emily Mills as its Open Records Officer.